To make a donation in support of our important work click "How You Can Help" above . Support The Foundation of Laguna Woods Village by shopping at AmazonSmile. When you shop at AmazonSmile, Amazon will donate to The Foundation of Laguna Woods. 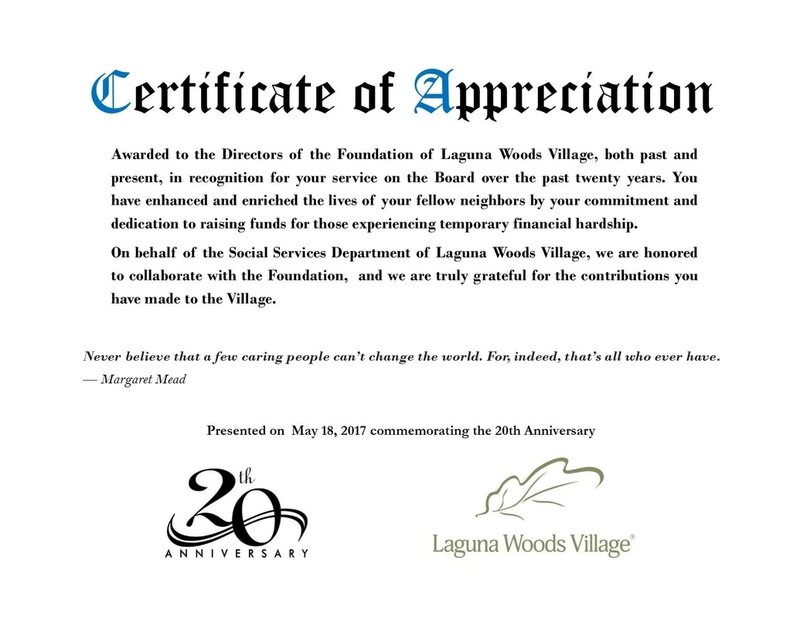 ﻿The Foundation of Laguna Woods Village is a 501(c)(3) charitable organization, a non-profit corporation, for the purpose of raising and distributing charitable funds in Laguna Woods Village, a senior community of 18,000 residents in South Orange County, CA. The Foundation was established in 1997 by a small group of residents who saw a need to provide temporary financial assistance to qualifying residents of our community. Specifically, The Foundation provides emergency assistance to qualifying residents with supermarket cash cards, prescription payments, bill payments for utility services, medical and dental, care giver and respite care services, taxi vouchers for travel to health care providers in Orange County, and gas cards. In addition, through Age Well Senior Services, The Foundation funds programs which directly help Village residents. The mission of the Foundation of Laguna Woods Village is to provide temporary financial assistance to qualified, economically disadvantaged residents of the community. Those residents who have need of temporary financial help for medical, utilities and food bills. Home-bound residents who can no longer shop and cook for themselves receive three meals a day delivered by our Village residents. The Center provides health and therapeutic services along with social activities for the resident while offering respite and peace of mind to the care giver. 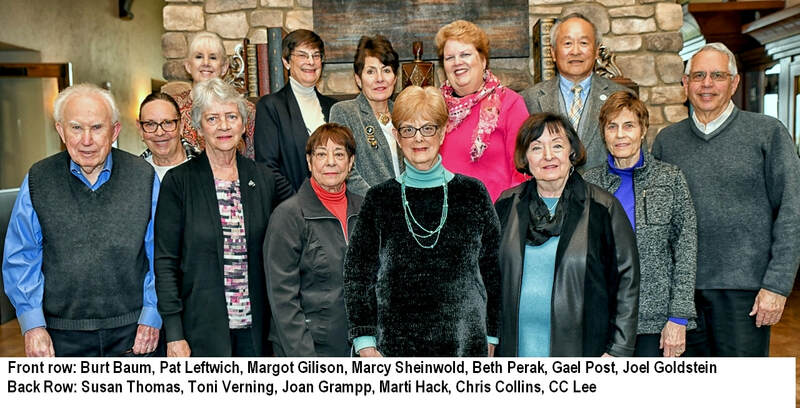 The Foundation of Laguna Woods Village is run by an all volunteer board of Village residents. We work with the Village's Department of Social Services, who identifies and qualifies needy residents, and when no other support is available, Social Services recommends that the Foundation pay specific bills to the providers. The residents remain anonymous to the Foundation. 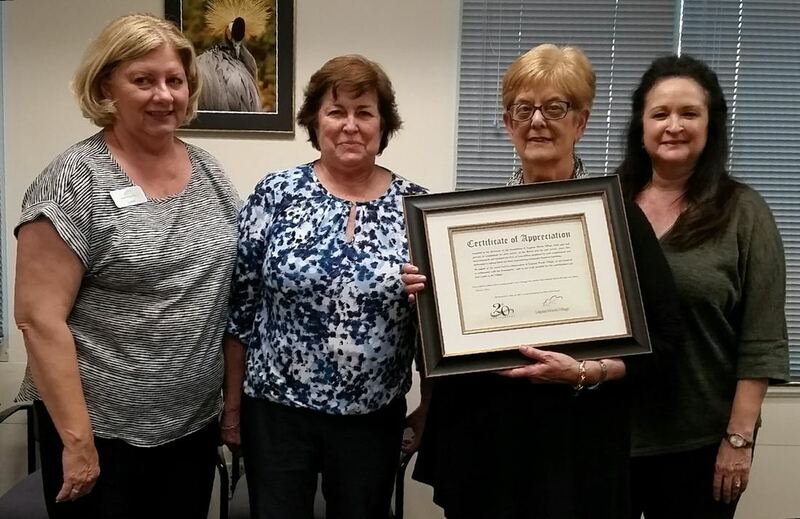 The Foundation celebrated its 20th Anniversary on April 27, 2017. Photos of the event are available here: goo.gl/photos/NTwakNwmfa1GBC298 . See the Globe article under the Articles tab. Burt Baum, Christine Collins, Joel Goldstein, Joan Grampp, Martha Hack, , Kenneth Hirsch, Gael Post, Susan Thomas, and Ann Worley.